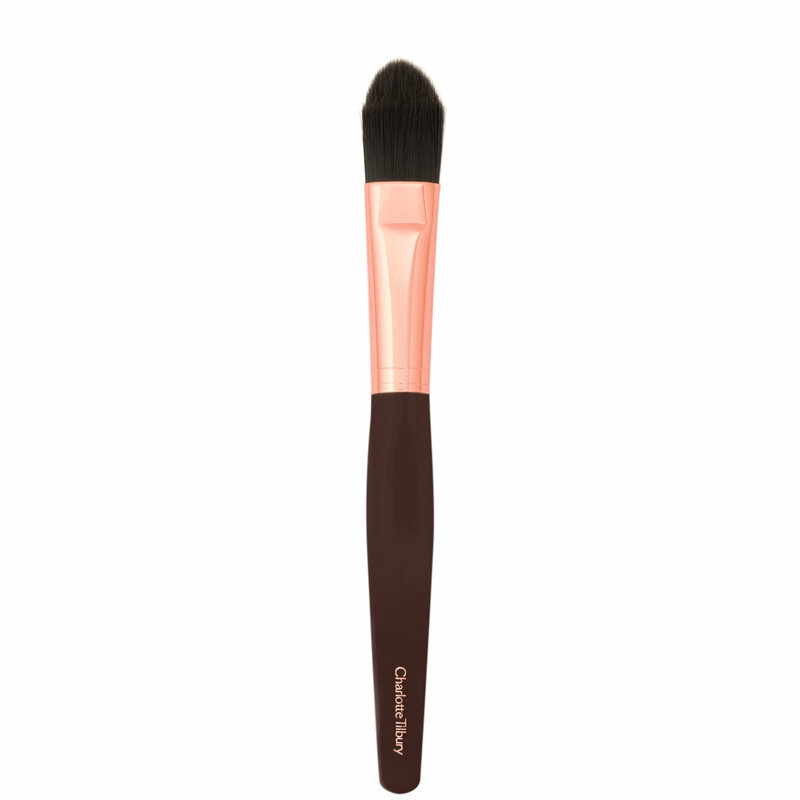 The Charlotte Tilbury Foundation Brush will help you apply and blend your foundation seamlessly and hygienically into the skin. This brush is cut to fit perfectly into those hard-to-reach areas of you face. The synthetic fibers help blend your foundation for a flawless complexion, with minimal wastage of your product. The maximum hair-count brush head is hand-pulled into the perfect shape by a master brush maker in Europe. The sustainable wood brush handle is ergonomically designed to be easy to use and faceted to not roll off your vanity table, a trick used by artists the world over.